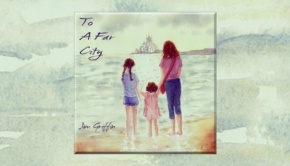 Jim Griffin is an Irish musician and former frontman of Celtic rockers The Fewer, The Better, and he has been writing and recording this solo album over a number of years. Based around a tale that crops up in many cultures throughout history, that of the spiritual man and his warrior companion guided by a female prophet figure, and “inspired in equal measure by the work of Albrecht Dürer, H.P. 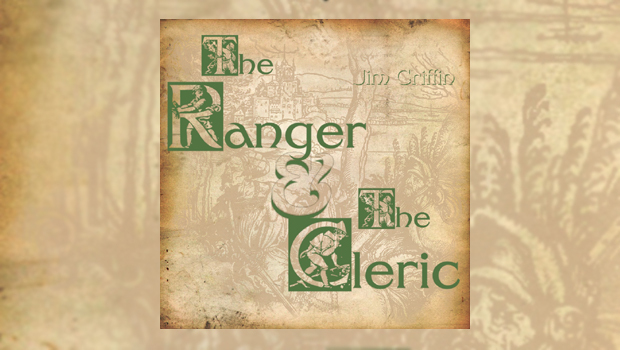 Lovecraft, Gary Gygax, Carl Sagan and Arthur C. Clarke”, The Ranger & The Cleric is presented as one continuous 42-minute song cycle. Dreamy and elegiac, the music transports the listener into a past-future world where ancient mythology walks side by side with sci-fi, guided by a psych-folk soundtrack dominated by Jim’s various guitars, both electric and acoustic, fried by sundry electronic trickery. The evocative Celtic mist-shrouded atmosphere is occasionally narrated by intriguing lyrics that tell the story of the two wanderers, and the overall effect is reminiscent of Nigel Mazlyn-Jones, Mick Wills, or Roy Harper, but with a definite character all of its own. Always through a glass darkly, the simple main theme ebbs and flows as the suite progresses, now and then acid-soaked, always introspective and respectful. Right from Thoughts Combine it is clear that Jim is a guitarist of some style, mixing acoustic picking with woozy psych effects to create just the right kind of ethereal atmosphere. Add in a dash of classical guitar and that opening tune sets the scene for an enjoyable journey. By the time we get to Ancient Memories From Beneath The Pillars Of Creation the story has become fantastical and otherworldly, we are now in another universe. The music is suitably trippy, gossamer-light and borne on a cosmic wind, but always anchored by the theme. If you are not averse to a dose of lysergic folk-prog now and again, this album is for you. The download comes with all sorts of extras, as you can see by checking out the Bandcamp link, and there is a CD version too. It is obvious that the whole project has been a labour of love, and it would be a shame for it to pass unnoticed. Jim Griffin – Guitars, Effects & everything else!